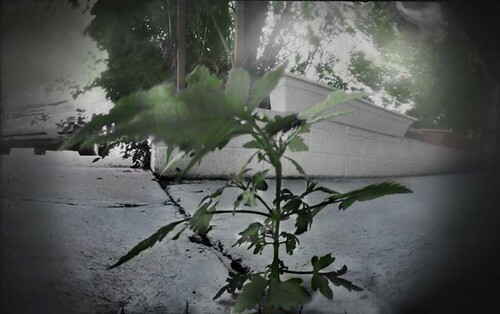 Ok..so it is really just a weed growing out of the cement, not a tree. I pass it every time I walk in or out the door. I cheer it on as it struggles to grow out of the cement, knowing that I can live with my own struggles, as it does.